Most recruiting trips happen at a school’s home campus. It’s a norm that will not apply when Kentucky travels to Florida. 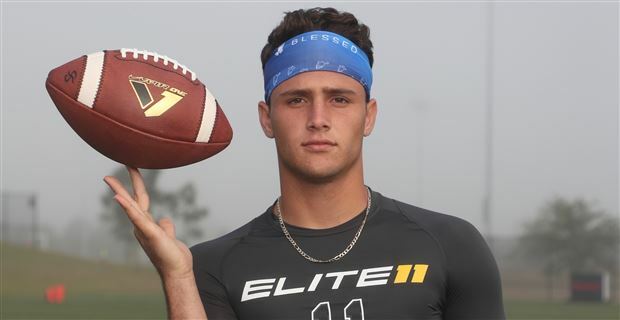 Tomorrow morning a pair of Kentucky commits, quarterback Nik Scalzo and tight Nik Ognenovic, will be in The Swamp to watch the Cats try to snap the streak against the Gators. The Cardinal Gibbons High School teammates and their families will load up an RV and make the 300-mile trip from Ft. Lauderdale to Gainesville. Last week Scalzo set two new school records for career passing yards (3,280) and touchdowns (44). Yesterday I spoke with the two Niks for more than an hour and will be on-hand tonight when they take on Dillard High School, the alma mater of three current Kentucky Wildcats — Jordan Wright, Bryce Oliver and Stanley Garner. How good is Nik Scalzo?